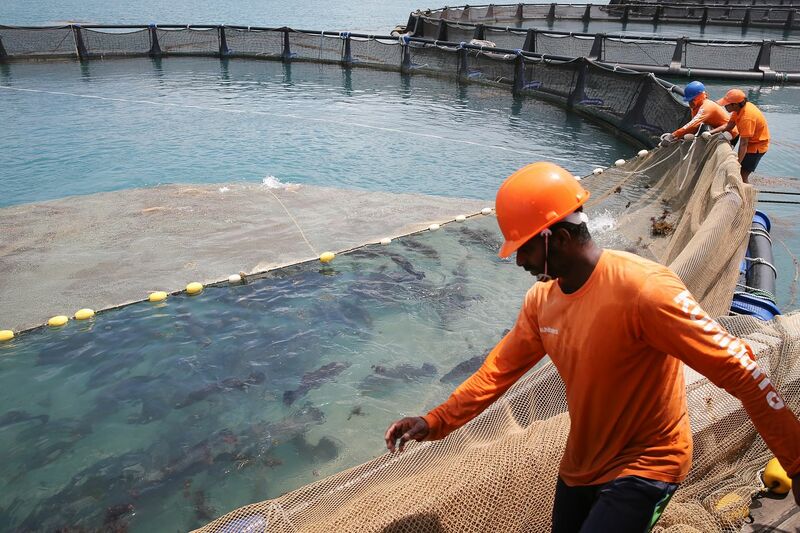 Workers at a local barramundi farm in February. Singapore aims to produce 30 per cent of its food needs by 2030, said Environment and Water Resources Minister Masagos Zulkifli. The Community Health Assist Scheme is being extended to cover all Singaporeans who have chronic conditions regardless of income. From doing away with streaming in schools to having more schemes that support young companies, this year's Budget came up with a range of new policies and initiatives that will keep Singapore strong years into the future. This forward-looking mindset is especially relevant since this year marks 200 years since Sir Stamford Raffles landed in Singapore. It was a key turning point in the country's development, with Singapore becoming a free port and node for global trade. With this in mind, the Bicentennial Budget reflects on the past while also charting the way forward, said Finance Minister Heng Swee Keat in February. "Budget 2019 is a strategic plan to allocate resources to build a strong, united Singapore. In this bicentennial year, let us draw on our strengths, and our Singaporean DNA - openness, multiculturalism, and self-determination - to continue to progress," he said. One forward-looking initiative for national security is to make it mandatory for recruits undergoing basic military training to attend an information literacy workshop. Announced during the debate on the Budget by Senior Minister of State for Defence Maliki Osman, the workshop will teach them to deal with fake news and deliberate online falsehoods in the age of the Internet and social media. Other changes announced aimed to adapt policies to better meet the needs of national servicemen. For instance, there will more SkillsFuture courses geared towards them to boost their employability after national service. Operationally ready national servicemen also no longer need to notify the authorities of overseas travel that lasts less than six months. Terrorism remains a pertinent issue. A voluntary accreditation scheme to prepare religious organisations to handle a crisis such as a terrorist attack was announced by the Ministry of Culture, Community and Youth. To be launched in the second half of the year, the SGSecure Community Network Crisis Preparedness Accreditation Scheme will require religious bodies to use a toolkit to assess their own emergency preparedness in areas such as crisis communication, security infrastructure and their members' emergency preparedness. Underscoring how rapid change is a constant in the modern economy, Mr Heng said in his Budget speech: "Every firm and every worker will need to work differently, master new skills, and use technology well. And we must continue to create new opportunities, including through partnerships with others." Additional amount the Government will pump into long-term care schemes. A slew of initiatives will be introduced to help young companies, such as the Scale-up SG programme to help aspiring, high-growth local firms build new capabilities, innovate, grow and internationalise through customised support. The Innovation Agents programme will also help firms to tap experts to help them innovate and commercialise technology. An existing programme, SMEs Go Digital, was expanded to help small and medium-sized enterprises adopt technology to raise their productivity. But to push firms in the service sector to innovate and become less reliant on labour, Mr Heng cut the foreign worker quota. From Jan 1 next year, the dependency ratio ceiling (DRC) for the service sector will be reduced to 38 per cent from the current 40 per cent, and cut further to 35 per cent from Jan 1, 2021. The DRC refers to the maximum permitted ratio of foreign workers to the total workforce that a company is allowed to hire. Apart from companies, the Budget also focused on instilling the spirit of entrepreneurship in young people. Mr Heng said: "We are partnering firms to invest in our people, including young Singaporeans, to provide them with opportunities to gain working experience abroad." He announced that existing local and overseas internship programmes will be combined into a single Global Ready Talent Programme, which will have enhanced funding support for students from institutes of higher learning who intern overseas with Singapore firms. Investing in people is also vital especially when it seems that Singaporeans might be working longer. The first step for raising the retirement and re-employment ages beyond 62 and 67 respectively has been taken, as the Government, unions and employers agreed on the need for these changes. Manpower Minister Josephine Teo revealed the tripartite consensus in her update on the Tripartite Workgroup on Older Workers during the Budget debate. The group has been looking at this issue and others since May last year. Over the past decade, Singapore has significantly increased its social spending, said Mr Heng. Social ministries' expenditures have doubled from $15 billion in FY2009 to $30 billion in FY2018. Mr Heng also said in his Budget speech that the Government will pump in an additional $3.1 billion for long-term care schemes. These additional funds for long-term care build on the $2 billion earmarked last year for premium subsidies and other forms of support for Singaporeans. Mr Heng also shared more details on the extension of the Community Health Assist Scheme (Chas) to all Singaporeans who have chronic conditions regardless of income. 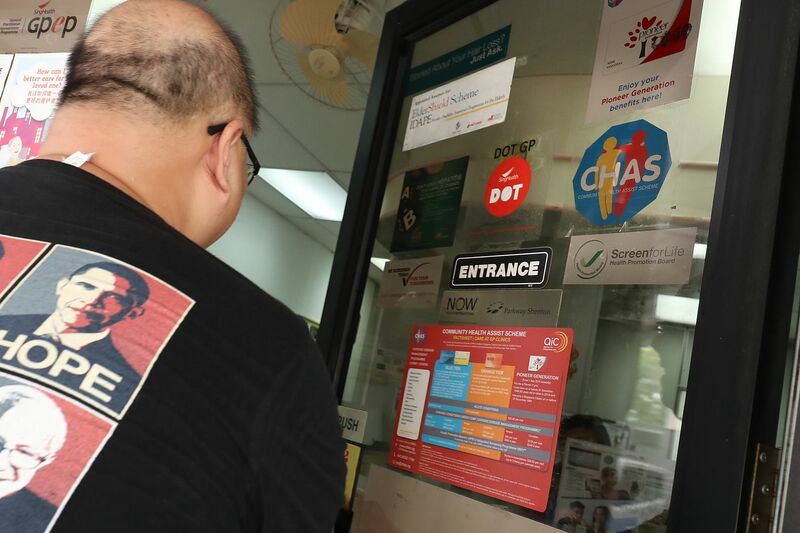 Chas currently subsidises medical and dental care at general practitioner and dental clinics for lower-and middle-income Singaporeans as well as those from the Pioneer Generation, which refers to Singaporeans who were aged 16 and older in 1965. Those with the orange Chas card (people who have a household monthly income per person of between $1,101 and $1,800) who currently receive subsidies only for chronic conditions will also get subsidies for common illnesses like coughs and colds. The subsidies for complex chronic conditions will also be increased. Chief among the social initiatives announced at the Budget was the Merdeka Generation Package, which seeks to offset some of the healthcare costs incurred by ageing Singaporeans. This will cover about 500,000 Singaporeans born in the 1950s. Those eligible for the package will get an annual $200 top-up to their Medisave accounts for five years from this year to 2023, among other benefits. Singaporeans of other ages were also not left out of the largesse. Mr Heng said a $1.1 billion Bicentennial Bonus will be shared with Singaporeans, with some benefits going to low-income families and low-wage workers. All tax resident individuals will get personal income tax rebates of 50 per cent, capped at $200 per taxpayer. Meanwhile parents with school-going children will see more support for their education, with a $150 top-up to the Edusave accounts of Singaporean students aged seven to 16. Singaporeans aged between 17 and 20 will receive up to $500 in their Post Secondary Education Accounts. One of the biggest announcements at this year's Budget debate was that streaming in schools according to academic abilities will stop in 2024. Education Minister Ong Ye Kung said his ministry will end the Normal (Technical), Normal (Academic) and Express streams in secondary schools that bind children to specific pathways. Instead there will be full subject-based banding, in which students will take up subjects at higher or lower levels, based on their individual strengths. This will apply to all those entering Secondary 1 in 2024. Subjects such as mathematics will be taught at three levels - G1, G2 and G3, with G for "General". G1 will roughly correspond to today's N(T) standard, G2 to N(A) standard, and G3 to Express standard. Students will take a national examination and receive a common secondary school certificate at Secondary 4. On Mondays, for 12 weeks from April 1 to Aug 5, this paper's journalists will address burning questions in the Opinion section, offering unique Singaporean perspectives on complex issues. The primers are part of the outreach of The Straits Times-Ministry of Education National Current Affairs Quiz, or The Big Quiz, which aims to promote an understanding of local and global issues among pre-university students. The primers will broach contemporary issues, such as the impact of artificial intelligence on jobs and the workplace, or how fast fashion is affecting the environment. They also include the issue of fake news and the legislation against misinformation and disinformation, and an examination of the balance between national progress and the preservation of heritage. Each primer topic will give a local perspective to help students draw links back to the issues' implications for Singaporeans. For the second year, The Big Quiz will be online, allowing all pre-university students to take part in the competition over three online quiz rounds on April 15, May 13 and July 29. The online quizzes are based on the primer topics and will be available for two weeks from the start date of each quiz. This nationwide event is jointly organised by The Straits Times and Ministry of Education. The ministry will start full subject-based banding in about 25 schools next year and progressively apply it to all secondary schools, with streaming to end in 2024. Mr Ong said: "So from three education streams, we will now have 'One secondary education, many subject bands'. We will no longer have fishes swimming down three separate streams, but one broad river, with each fish negotiating its own journey." Beyond the stigma, being in a stream seen as less prestigious could have unintended consequences, he said. "Students can develop a mindset where they tell themselves, 'I am only a Normal stream student, so this is as good as I can be'. Above all, we are guided by our belief that no child's fate is fixed, and in an environment that encourages growth and development, and promotes holistic education, they will fulfil their potential to be sons and daughters of Singapore whom we are proud of." Other education announcements include the move to upgrade or rebuild junior colleges with older campuses, starting from 2022. An initiative was also announced to offer all Sec 1 girls in national schools, including madrasahs, free vaccination to protect them against cervical cancer. With the growing concern over climate change, the Budget debate also saw Environment and Water Resources Minister Masagos Zulkifli declaring an ambitious target of producing 30 per cent of Singapore's food needs by 2030. The global food market now accounts for over 90 per cent of Singapore's current food supply. Mr Masagos added that going forward, there will be support for existing farms to raise productivity and innovate, as well as expand production in state-of-the-art indoor farms. These farms can optimise plant growth and increase yield exponentially through high-tech solutions like LED lighting and climate control, for instance. "We must do as our forefathers did, stay alert and nimble, and continue to plan and prepare for the long term," he said.